It seems like a lot of wool clothing has been coming across our desks lately. Now, we have a new name added to the list. Pettet Endurance Project or PEP for short. We had a chance to look at both the men’s and women’s version of this top. What’s in the name? The Pettet name itself comes from the hill in the Bloomsday 12k which the founder of PEP, Greg Poffenroth, grew up near in Spokane, WA. The Endurance part I think you can figure out for yourself. The Shevlin, named after a recreation district in Bend, OR, is their long sleeve merino wool top. Every piece of clothing is named after a local landmark or area from the state in which it was made. A bit of an homage to domestic manufacturing and the local nature of our business. MADE IN THE USA. Yeah we can never get enough of that. 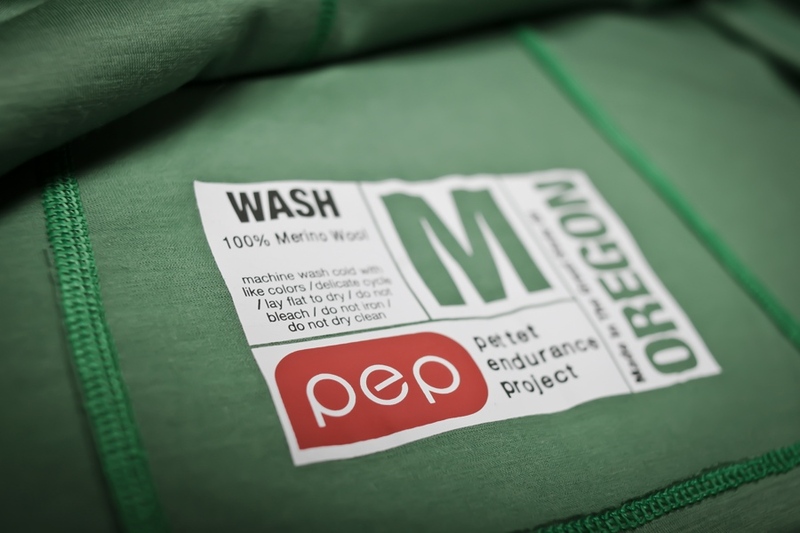 It is made in Oregon (see above) of 100% Australian Merino Wool. Fabric specs are 8.5 micron | 170gsm. What does PEP Say about it? 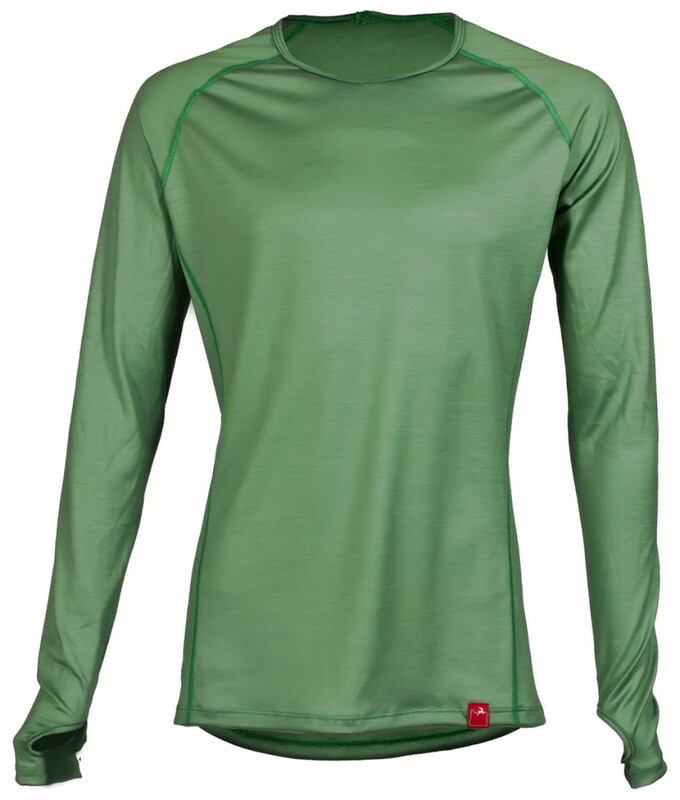 A staple piece of running gear, a shirt to wear out or maybe even to the office. The Shevlin is soft to the skin, solid, and sports a longer than average fit that won’t feel like your typical piece of boxy athletic wear. The sleeves are a bit longer as well and have a thumb slot to extend the fabric over the top of the hand for cold weather running. Furthermore, the price is rather nice. Just $60 for a long sleeve 100% merino wool shirt. That’s pretty hard to beat. It is actually $35 to $60 cheaper then some of the competitors. As far as I know, they are available online only, which helps keep the price down. PEP also gives back. They participate in 1% For The Planet, an organization that works with them to donate 1% of all company revenues to an environmentally-friendly non-profit. 100% machine washable … to be honest I didn’t read the label. I am a guy and it is getting washed with everything else. After several runs, washes and being wadded up in the back of my car it still looks great and is holding up well.